MOFO CHILI is founded by two sisters, Monica and Steffi. The name MOFO is created as a fusion of both their names, Monica and Foi (Steffi’s nickname). The idea behind MOFO CHILI is to have a spicy condiment, which is versatile and suitable for cooking, marinating and dipping, without changing the taste of your dish. Not to mention, MOFO CHILI is also halal and vegetarian-friendly! Monica and Foi started eating chili from a very young age, but the beginning of this journey started when they had gone overseas for their tertiary education. Each sister would bring at least 5 kg worth of fried chili with her and the chili soon became well-known amongst friends. Upon relocating back to Singapore, they decided to venture into producing it for the public. 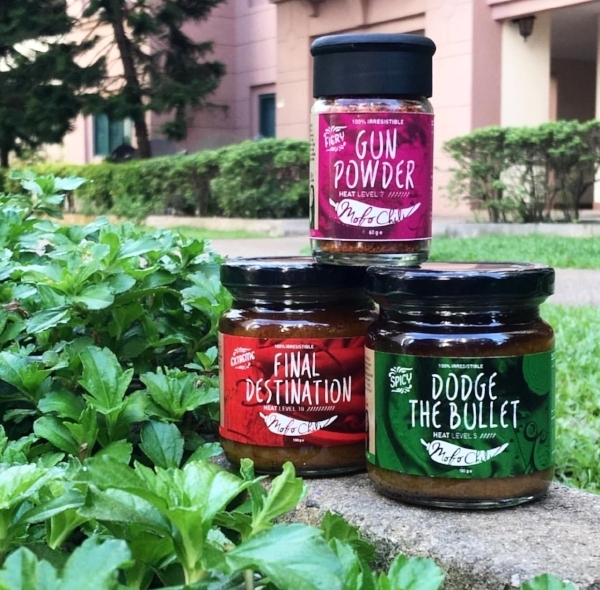 With the support of their friends, they started with chili tasting sessions, to selling at farmers markets and now having online retailers and restaurant partners. Unlike others available in the market, MOFO CHILI is a recipe created by Foi, who has a commendable passion for cooking. She perfected the recipe after countless trials and errors, and MOFO CHILI is proud to share this with the world. The sisters, who have an extreme passion for chili, are known to have their fried chili with everything they eat, be it soups, salads or even fries! Now, they are spreading their love for chili with MOFO CHILI.